This page is archived. To see current Book Reviews click on Book Reviews under the Categories tab on the left side of the page. To submit Book Reviews, check our Guidelines page. Thanks! The author knows what she is doing and she does it well. Like many of us, she's fed up with the pettiness, discrimination, and ugliness in the world. She's sounding an alarm--To love one another. She calls us to use compassion to explore the social dynamics between each of us. In the poem "Stirring My Hub Up": I'm tired of the vitriol/I'm tired of the denunciations/of my character/slowly dripping with venom from/ferocious yet invisible fangs. This book is a must read. Buy your copy today. Join the tribe. Pioneer. 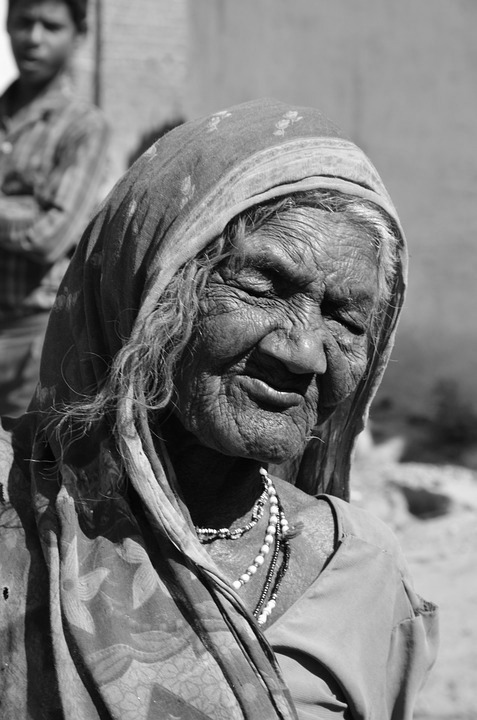 At the age of 20, she exhibited the true spirit of sacrifice and courage. In pursuit of the American Dream, she left her immediate family in Trinidad and Tobago and migrated to New York City to chart out a future for her tribe. Years later, she relocated to Los Angeles to raise her children. She indulged in bi-coastal living at two different periods of her life. As an older adult, she returned to New York City where she pursued her education at Lehman College in the Bronx with an undergraduate degree in Sociology. Upon graduation, she was hired by New York Public Library and immediately enrolled at Pratt Institute, Brooklyn to obtain a MS (LIS). Her greatest joy was serving a diverse community and empowering the public by providing them with access to information. In 2000 she returned to California where she led a team at the Pasadena Public Library and they received a Certificate of Special Congressional Recognition from the office, Congressman Adam B Schiff, in recognition of outstanding and invaluable service to the community. Elizabeth now calls Tampa Bay home. She is deeply concerned about human dignity and the need for social justice. She is outgoing, loves the sound of laughter and the power of the word. 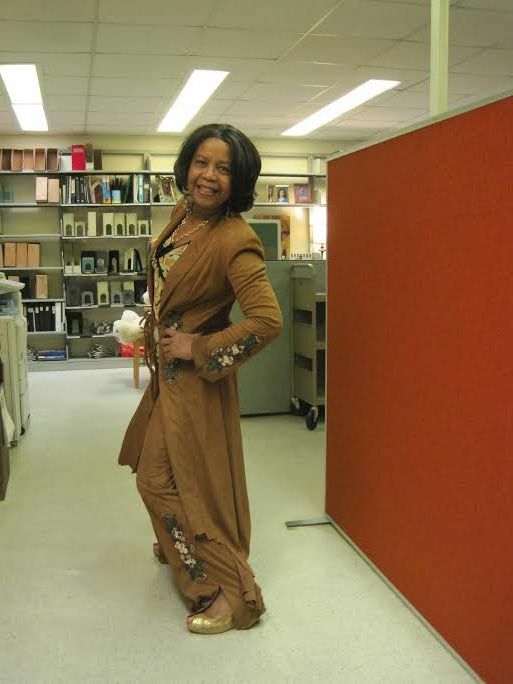 She works part-time as a reference librarian at Saint Leo University in Dade City. She volunteers as an adult literacy tutor in Tampa and she is committed to life-long learning and substantive change. Elizabeth is a member of Grace Family Church Temple Terrace FL. She is a performance poet and has had several poems and a nonfiction essay published in Indiana Voice Journal. Elizabeth is currently working on a novel and many other projects. The poems in Songs of a Dissident are shocking, powerful, and full of insight about the "structured" or "prefabricated" world we live in, and poet Scott Thomas Outlar knows that world intimately. His powers of observation are keen, and in this collection, he pushes us outside of our comfort zones and challenges us to look at the "facts" with new eyes. He writes about the "powers that be" with vigor and boldness, and an exuberant determination to awaken us from our slumbers... We will either make the world a better place, or by complacency we'll "let it burn". It takes skill, an honest voice, and a huge amount of courage to write like that. Each poem is like a little bomb of thought, of actuality, of inspiration dropped into your heart and left there to ignite, ultimately ushering in a whole new train of thought- An enlightenment of sorts-A protest to what we always thought we believed. from publishers, editors and potential agents. of the puppets and the pawns"
We are the puppets and the pawns, and Songs of a Dissident is an intense wake-up call that belongs on the shelves in every community library. I love this book! You can check out more poems from the author by typing his name in the IVJ search bar...multiple choices will appear...and a short story right here in the current issue of IVJ. Scott Thomas Outlar hosts the site 17Numa.wordpress.com where links to his poetry and fiction can be found. His words have appeared recently in venues such as Yellow Chair Review, Poetry Quarterly, Tuck Magazine, and Dead Snakes. 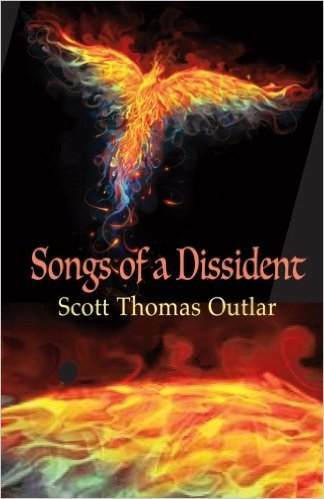 Scott's chapbook "Songs of a Dissident" was released in 2015 through Transcendent Zero Press and is available on Amazon. I found it impossible to keep my balance and remain on the surface of these poems. This collection is powerful and unsettling, and Prerna Bakshi pulls you in deep and doesn't let go. In this body of cohesive, tightly woven poetry she explores and interrogates the narratives of Partition of India/Punjab post British colonialism, women's identity, gender, and class struggle. Her poems are connected by setting, imagery, challenging themes, and autobiography; and she casts the net wide... Violence, oppression, exploitation, abuse, struggle, survival and resistance. In the opening poem, "I Can Hear You", the use of repetition and response as an interior dialogue, or thought pattern, brings the subject matter of abuse and oppression into clear focus. It sets the tone for the body of work and Bakshi follows up. In "Family Gup-Shup (Chit-chat)", "A Tale of Round Rotis", and some of the other poems about forced domesticity and the patriarchal society, she brings us face-to-face with the heartbreaking realization that these women are not only abused and invisible, they're stuck. Anchored in the muck of cultural and family biases that run deep, and sometimes religious. The author is fearless though. She embraces her characters and allows hope to rise as she ruthlessly examines and rejects those beliefs, such as in "Coward Gods", "The Cooking Gene", and "My Women Have Spoken". In one of my favorite poems "What Will Be Left Behind? ", Bakshi reflects on the devastation of her ancestors lives during and after Partition (footnotes provided) : "The battered suitcases/that bear the marks of/gruesome violence/and the narrow escape;". But she doesn't camp there, she moves forward with: "Let’s leave them behind and/build a better world". The last poem in the collection closes with a beautiful and necessary request: That we let women narrate their stories themselves. hiding away, stuffed at the back of a wardrobe. under a pile of disaster rubble. before they eventually have to flee. of the many women – when will they be heard? to the past and present. choke you, gag you a little. Let the secrets be unburied. 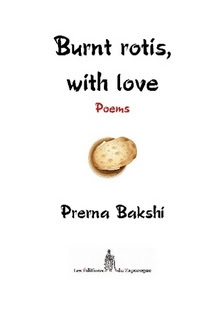 I first became aware of Prerna Bakshi's work when she answered a call for submissions for our February 2015 special issue on homelessness, "Out of the Shadows", and later in the May 2015 Women's edition. I found her poetry startling and urgent and written in a voice that seeks--no, make that demands--answers to our most basic humanitarian questions. She is a force for change and I'll be watching as her body of writing expands and she ultimately takes her place among the important new literary authors of this generation. Prerna Bakshi is a sociolinguist, research scholar and writer of Indian origin, currently based in Macao. She has contributed essays and articles to a variety of publications including The Hindu, CounterCurrents, Amar Ujala, and Desh Bandhu to name a few. Her poetry has been published in Linden Avenue Literary Journal, Indiana Voice Journal, Red Fez, peer reviewed journals such as Muse India, Postcolonial Text and is forthcoming in Hysteria, Grey Sparrow Journal, and several publications. 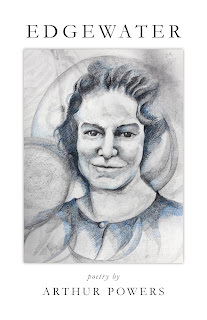 Her mysterious and perplexing verse, at times, allows the reader to equivocate her carefully crafted words to their own situation, belief or goal. In The Apple Tree, she seems to be offering her view on global warming but does it by painting a pretty picture wherein the tree thrives in unlucky circumstances. In the end you realize the author has caused you to pause and ponder your own moments and choices. So be it. One can depend on Elizabeth to trigger your musings. When asked how to pray, Jesus advises his listeners to be brief, unlike those who "think that they will be heard because of their many words" (Matt 7:8). This statement, like many others in scriptures, raises questions. How many words are too many, and how else besides words to ponder Holy Writ? 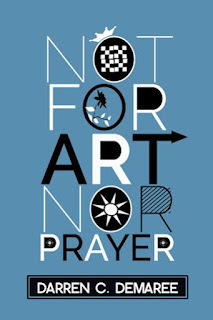 In these poems, Elizabeth Poreba seeks to keep Jesus' advice in mind while examining her life as a convert from a Puritan-infused Congregationalism to Roman Catholicism. 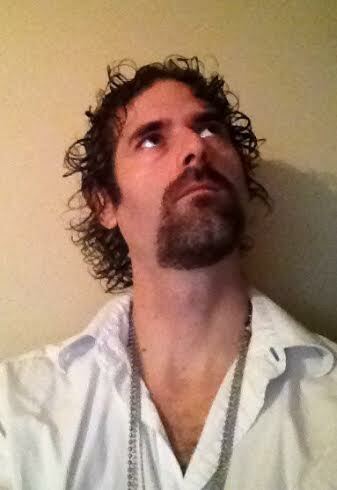 Darren Demaree has a unique style and voice that quickly engages the reader. In his new book of poetry, Not for Art Nor Prayer, he speaks of not only his wife, Emily (clearly his muse) and children, but also little glimpses of the everyday. Mr. Demaree mentions also of his home in Ohio, and breathes life into it. He appreciates what may seem mundane to the rest of us- or things we might overlook. These short, simple poems are not all that simple and they lend themselves to a third, maybe fourth reading- or more. Sometimes, there is an enjoyable snark there that’s not noticed on the first pass. It’s as real as poetry gets. & always staring at the clock. my fault. We were having such fun. about herself in these poems. & just kept going without asking her. I’ve gotten away with it. The best word to describe the poems within the pages of his anthology is real--They’re so very real. Real relationships, real conversations, real observations without being overly floral or dramatic. It’s easy to forget that these tiny pieces of our everyday can be beautiful and meaningful. I think in this work the author wants us all to stop and take a closer at our surroundings and the people in our world and appreciate them a little more. 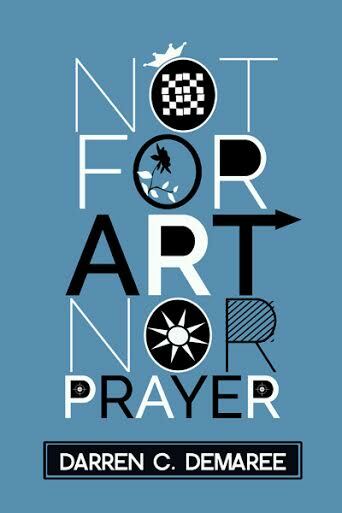 You can order your copy of Not For Art Nor Prayer here. Darren C. Demaree is living in Columbus, Ohio with his wife and children. 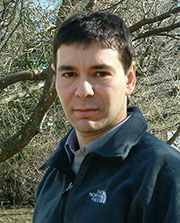 He is the author of five poetry collections. He is the recipient of five Pushcart Prize nominations and is currently the Managing Editor of the Best of the Net Anthology. through myths of our imagination. Simple. Rhythmic. Profound. I’ll treasure my copy of Edgewater for years to come. You can buy your copy here. Arthur Powers is from Illinois. In 1969 he went to Brazil as a Peace Corps Volunteer and lived most of his adult life there. From 1985 to 1992 he and his wife lived in the Brazilian Amazon, working with subsistence farmers in a region of violent land conflicts; through his experience with the farmers, Arthur came to appreciate more deeply his own Midwestern heritage. Arthur received a Fellowship in Fiction from the Massachusetts Artists Foundation and numerous other writing awards. He is author of two books of fiction and of a poetry chapbook forthcoming from Finishing Line Press (see below). His poetry has appeared in many anthologies & magazines, including America, Chicago Tribune Magazine, Christianity & Literature, Hiram Poetry Review, Kansas Quarterly, Main Street Rag, Roanoke Review, South Carolina Review, & Southern Poetry Review. "Julieta had found her eldorado among the simple-hearted Indians of the Andes, who laughed and smiled with candour and welcomed strangers as old friends. She had found it in a world of plywood walls, cardboard roofs, and threadbare clothes, far from cadillacs and motorways, riding her beloved Pablo, sailing a boat designed long before Spaniards arrived on the continent, with a view not of treasuries and banks but of an azure sky, and azure water and islands, and the snowy peaks of the high Andes. Would Cortez ever discover the treasures Julieta had learnt to value? She said good night to Yucuma and walked arm-in-arm with Mawi back across the meadow to the garden-house and their bed hidden among the flowers and blessed by the gods, the people and the animals of the island." Santiago, Chile, at the height of Pinochet's reign of terror in the late twentieth century. Julieta, the Juliet of this 'Romeo and Juliet' story and the daughter of a senior government official, is to be married to the army officer of her father's choice. 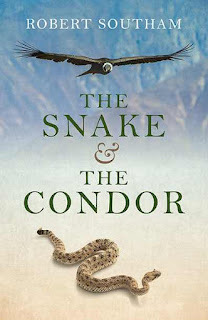 She attempts to escape with the boy she loves to the Peruvian Andes, but her father's tentacles reach across South America and even as far as England. The young lovers are caught up in a series of gripping adventures and narrow escapes. They are helped by a courageous priest, whose mission is to save opponents of Pinochet from the prisons, torture chambers and executions of the military régime. The Snake and the Condor is more than a retelling of one of the great love stories of world literature. It also studies the cruel effects of colonization, forced conversion and economic exploitation on non-European civilizations. It evokes the fear, suspicion and uncertainty on which tyranny and dictatorship thrive. As part of his research, Robert Southam spent several months in Peru, Bolivia, Chile and Argentina, living with indigenous South Americans well below the poverty line and exploring the shanty-towns of Lima. Full biographical details can be found on his Website, www.RobertSoutham.co.uk, which also has a blog on South America generously illustrated with photos. 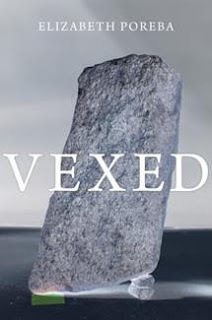 The Website includes details of an earlier novel, Aïsha’s Jihad, which is still selling steadily from www.fmoxford.co.uk because of its continuing relevance to the situation in the Middle East. It remains a set book for Swiss sixth forms and at French universities. This is an anthology of selected poems by Michael Cooper and Cindy Rinne written in free verse and will attract those who enjoy beautifully arranged poetic expression. Poetry, as a literary expression exemplifies a condensation of thoughts, feelings and emotions presented using careful word selection to allow the writer to stimulate and penetrate readers gaining the essence of the poem’s beauty. Readers are equally responsible to pull from the expression in order to attain total fulfillment. This co-authored work is a vivid display of quality poetic expression. pink carnations next to a wooden cross. moths, and roots for legs. 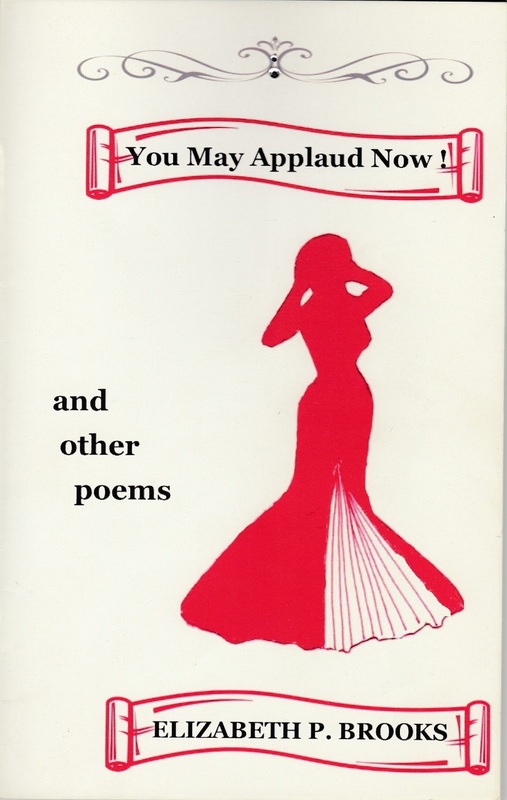 As readers browse this collection of poems some will impact them more profoundly than others. You will even find Haiku poems and some poems are more abstract than others. I especially enjoyed the poem on page 45. This poem’s brevity enhances verse power using simplistic emotionally driven lexicon, a joy to read. Poetry signals differently from reader to reader, exposing poetry’s uniqueness to display its singular; yet, diverse dimension of literary expression. I feel this fine anthology is a worthy read for those seeking a wonderful reading experience. Michael and Cindy are deserving of any and all accolades coming their way for their grand effort to present this extraordinary collection of fine poetry and I am grateful to be given an opportunity to review their work, otherwise I may have never read these poems. 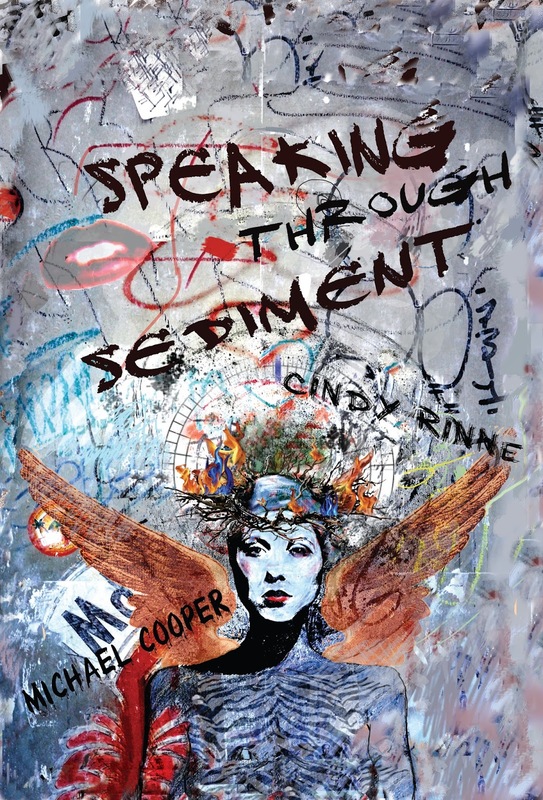 Speaking Through Sediment began as an adventure in a speculative style of leaping that Cindy Rinne and Cooper simultaneously experimented with. Both poets are seekers, and as such were engaged in a style of play where they leapt without being sure of where they were going to land. The collaborative process was a matter of sharing work as it was generated and then feverishly writing the next piece— each writer engaged in this process simultaneously. 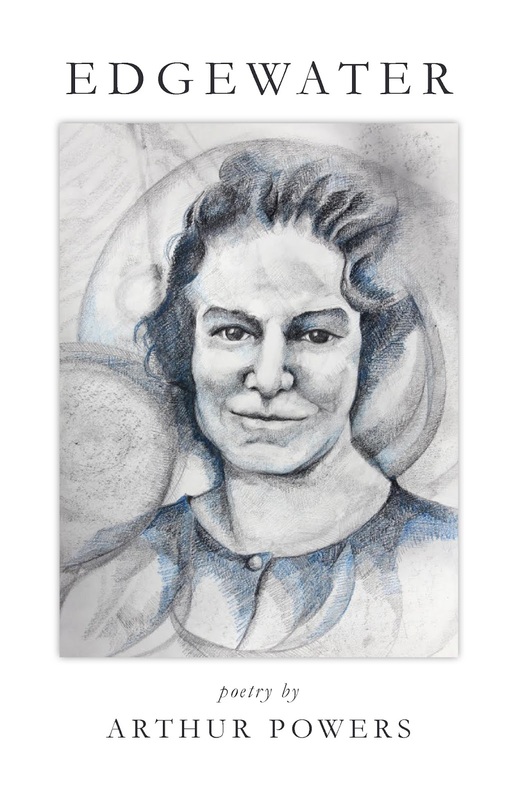 The collective of poems generated was then curated under the weaver’s-eye of Rinne, who found continuity and meaning in the poetic landscape. The field was very wide, and ever dangerous: a polyphonic animal of a poetry book. 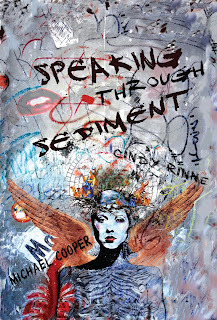 Rinne and Cooper purposefully do not delineate where one voice leaves off and another begins to further underscore the sense of collaboration through dialog rather than the individuation of intellectual property and agonism. Published by After the Pause Press. 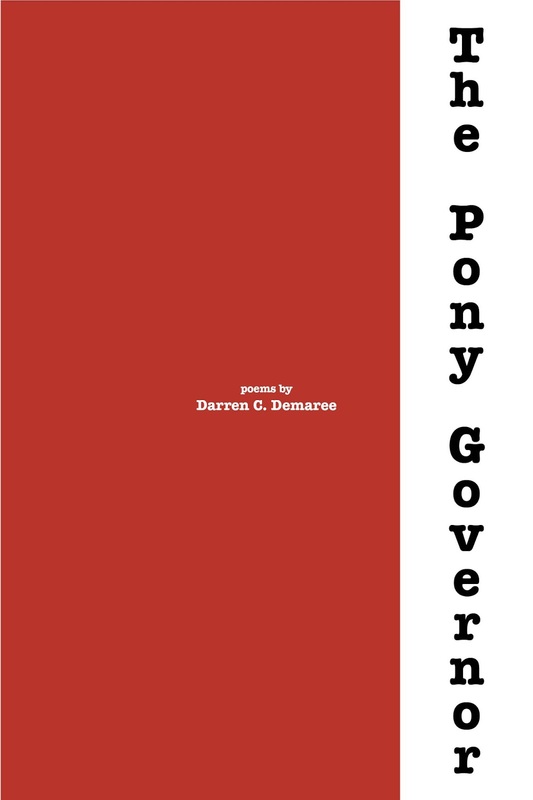 The Pony Governor belongs on the shelves of poetry readers. While the poet's muse was clearly a disillusioning government, the body of work he presents transcends partisanship and is accessible to the beating hearts of any political persuasion. By a blend of his own perception and creative imagery, Darren's work engenders within the reader the emotions experienced by any observer of government without the frustration of its inevitable failings. Darren's work is an elevated political experience like no other. Dynamic, emotional, and inspired, almost every line touches a nerve. He has observed the curious mix of power, selfish-ambition, and inadequacy and has sentenced the entities of concern to a profound and beautiful scrutiny. Yet, the author does not succumb to the demoralizing forces to which he is a witness. Rather, he finds hope, which he also shares with the reader. The best reason I can offer for encouraging anyone to read this book is simple: It's written by a poet who has found and is familiar with his own voice. Not having done so is possibly the most common judgement to make in regard to much contemporary poetry, even contemporary poetry that is technically sound. The Pony Governor is unique. It's fascinating. Read it. 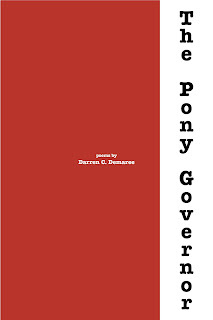 The Pony Governor will be available July 20, 2015. Learn more HERE. Read more about Darren C. Demaree HERE. I see spider webs daily in summer. A tiny creature on its mission of survival creates these devices. A single spider will often construct five webs each day, and then eats its web after serving its purpose in order to ingest protein, creating material for its next set of webs. These webs are images of beauty, especially when the morning sun strikes them glistening with dew, revealing geometric design perfection. 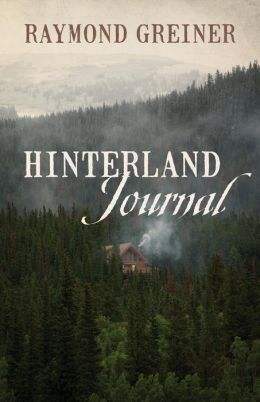 The author gives us a peek inside a pristine environment filled with wonder, spiritual value and natural harmony, while also pointing out our need for cultural, social and environmental change. "It would behoove the onslaught, self-feeding frenzy of acquisition to seek greater balance and sensitivity gearing energy toward apportionment and equality. As a species we have proven an ability to invent and install highly complex, technical devices it would seem equally possible to install basic comforts to those in dire need. Compassion is not complex." This book displays a collection of short fiction and creative non-fiction essays. These writings were produced over a five-year period 2005-2010 while living in a small cabin in a remote rural location. This environment offered opportunity-for revealing thoughts manifested from nearness to nature and its many functions. "The voice of destiny sings in various rhythmic tones, often off key and out of tempo, like a catbird singing in a thorn bush. Then the sky opens and darkness becomes light as clouds of doubt vanish." they talk different people past me. 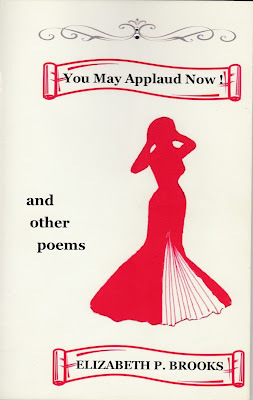 Some of the more energized and colorful poems happen when the clerk is daydreaming, or near the end of the book, when he finally escapes the dreary office job and states he is happy. I like these poems, and they seem to enter in just when you need them. Placed precisely by the author, perhaps, when he knows you are nearing your breaking point. That takes skill, timing, and a few well-crafted poems. while sitting in the sunshine of a park. like hail assaulting corporate windows. Their bright dresses light up my lunch hour. The nearby traffic honks and roars. 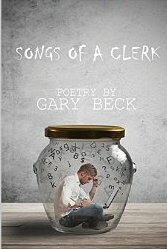 Songs of a Clerk, is a 132 page poetry volume. Available on paperback with a retail price of $11.99, and eBook with a retail price of $5.99. The ISBN is: 978-1-941058-16-9. Published through Winter Goose Publishing and available now through all major retailers. For more information or to request a review copy, contact Winter Goose Publishing at: info@wintergoosepublishing. The Biology Of Luck is a stroke of genius. It is a novel written within a novel. The story takes place in a single day in the life of Larry Bloom, a New York City tour guide and struggling writer. Larry has written a novel about his “dream girl” Starshine Hart, and although he has received an answer from his publisher Stroop & Stone, he refuses to open the letter until his dinner date with Starshine. "Then he folds the envelope in two and stuffs it into his breast pocket behind his cigarettes. He will wait until after his date to open it. It will either serve as consolation or as icing on his cake. A third possibility exists, of course, the possibility that Larry’s perfectly constructed New York City day will collapse into rubble like the grandeur that was Rome, but for a moment, it is a beautiful Harlem morning scented with maple blossoms and exotic fruit, and he is happy, happy in the way he knows he can be if he wills away the inevitable and succors himself with the remotest of hopes. That is the purpose of his book. That is the subject of his book. That is the reason that the city rises from its slumber." And that is the reason I love this book. Jacob Appel has the heart of a poet. His prose is rich, sensual and startling. He understands human nature and spins a tale that is bristling with joy, humor, despair, compassion and hope. He is a visual artist, an architect, a prolific writer that makes you think. And you are rewarded for doing so. Sentences that seem absurd suddenly make sense. Places that appear dark actually have light. As we tour the city with Larry Bloom, and through alternating chapters, Starshine Hart, we visit historical landmarks, we witness the scene of an attempted suicide, we watch people fall into rivers and we see people who, in Starshine’s words, “are just doing the best they can with what they have”. We meet these people... A cast of quirky characters with names like Snipe, Eucalyptus, Bone, Ziggy Borasch, who are so superbly drawn that you know you know them. They are authentic. They are New York. Will Larry and Starshine end up together? Will his novel find its way into print? 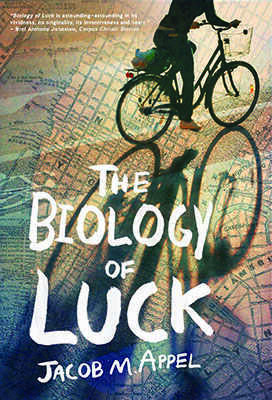 The Biology Of Luck is a fun read. It is epic. It comes complete with a hand-drawn foldout map of Larry’s NYC, questions for discussions at the end of the book, and a conversation between ERB publisher Jotham Burrello and Jacob Appel. As a Hoosier native who has never been to New York City, I’ve decided to go. I’ve invited my neighbors Helen and Tom (Appel's long-lost Hoosier cousins) to join me, and I’m pretty sure the only guidebook we’ll really need, to help us find our way around the boroughs, is a copy of The Biology Of Luck. Jacob M. Appel's first novel The Man Who Wouldn't Stand Up, won the Dundee International Book Prize (U.K.). He's won the Tobias Wolfe Award, the Percy Walker Prize, the Kurt Vonnegut Prize and has published over 200 articles and stories. He is a psychiatrist at The Mount Sinai Hospital and a licensed New York City sightseeing guide. Jacob lives in Manhattan. LITERARY EVENT: Jacob Appel will be reading/speaking at Butler University, Indianapolis, IN, November 13, 2014. Poetry by Andrew Hubbard: "Granny Neauville"
A Poem by Sarah M. Prindle: "The Autumn Season"
A Poem by Joyce Zephyrin: "A Question"
Fiction by Gary Roberts: "Embracing Life"